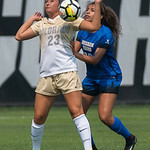 The NCAA Women's Soccer game between the University of Colorado Buffaloes (CU) and the Brigham Young University Cougars at Prentup Field in Boulder, Colorado. Final score of the game was CU Buffaloes - 3 and the BYU Cougars - 0. 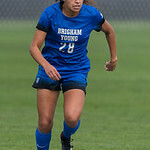 The NCAA Women's Soccer game between the University of Colorado Buffaloes (CU) and the Brigham Young University Cougars at Prentup Field in Boulder, Colorado. 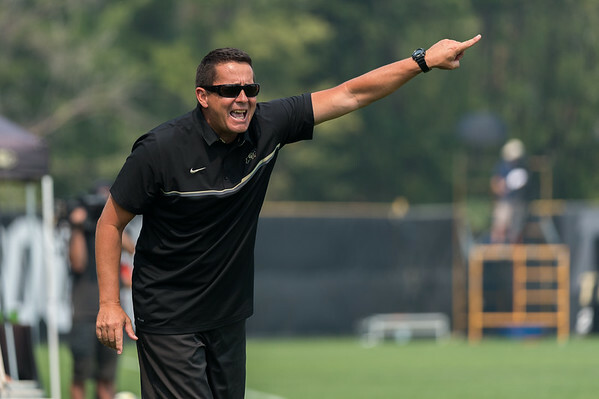 Final score of the game was CU Buffaloes - 3 and the BYU Cougars - 0. 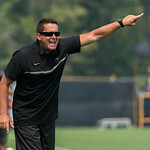 September 4, 2017, Boulder, Colorado, USA; University of Colorado head coach Danny Sanchez giving directions to his goalie during the 1st half of the NCAA Women's Soccer game between the University of Colorado Buffaloes (CU) and the Brigham Young University Cougars at Prentup Field in Boulder, Colorado.